Algar Waterfalls (or Les Fonts de l’Algar or Fuentes del Algar) is a fantastic attraction located just 10 mins from Splash Finca Panoramica, with stunning waterfalls, swimming areas, splash pools, rock formations, indigenous fauna & flora and walks beside the Rio Algar. The park is open all year round (see opening times) also features a picnic area, a natural museum (including examples of the indigenous Medlar fruit), an arboretum, five restaurants, and a camping & barbecue area (including a bar). 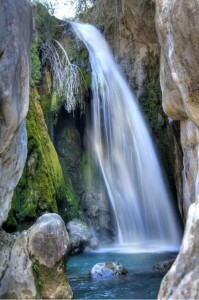 Algar Waterfalls is also the start of the PR-CV 48 hiking route from Callosa to Fort de Bèrnia. 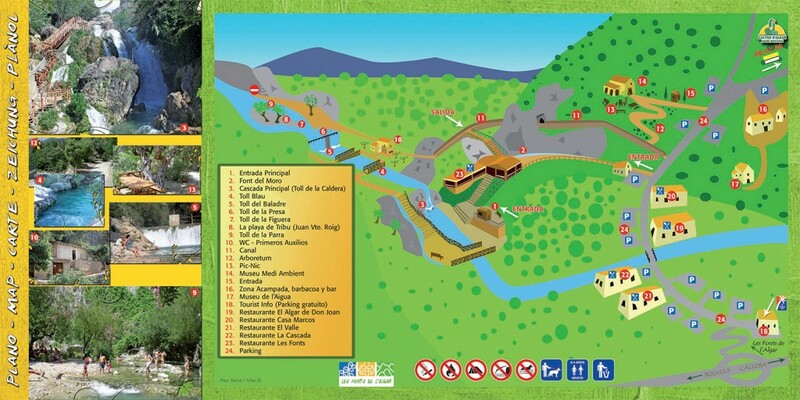 Ample parking is available, and tickets for Algar Waterfalls are priced at €4 for adults (aged over 10 yrs) and €2 for children (4-10 yrs) – children under the age of 4 go free. Tickets can be purchased at the entrance or alternatively online in advance through Tick Tack Ticket.